These have been a surprise hit at the Markets! I have a dear friend who makes the bags for these, and they go about as fast as we can put them together. The price is $15. In the photo to the right, there is a set all put together on the left. On the right in the photo is a bag disassembled – the generous sample of Avocado Aloe bar is standing up behind the jars. Below, you’ll see a closeup of the products usually included in the Travel Set. 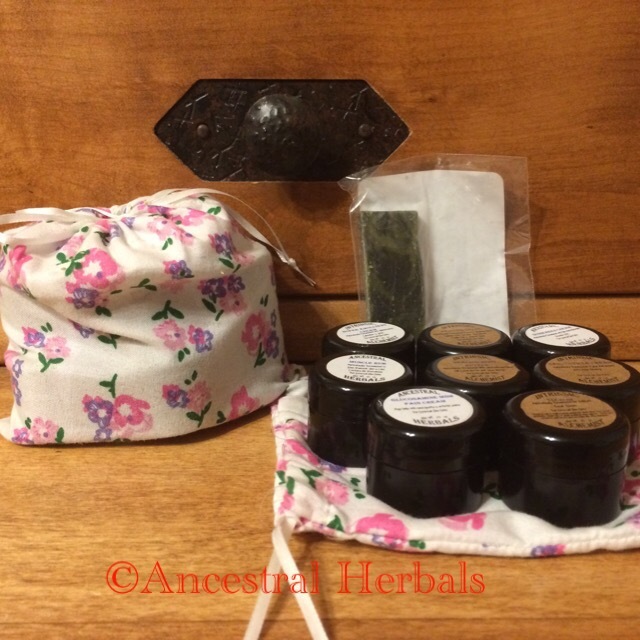 All products, except the Avocado Aloe Soap, come in a .25oz double wall plastic container. 1 – muscle rub, 1 – healing body butter, 1 – nail/cuticle cream, 1 – glucosamine msm pain cream, 1 – TLCream, 1 – travel size Avocado Aloe soap. That’s 9 products! 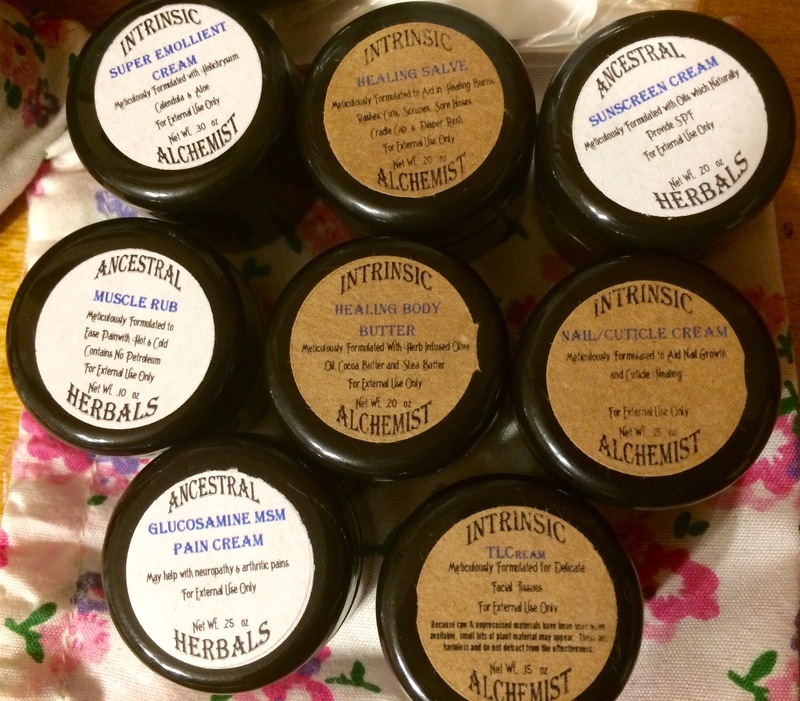 It’s a great way to get to know Ancestral Herbals. Now for fun. 🙂 All of that, PLUS a travel size Bison Balm – Medicine Woman is $20!